Last weekend I volunteered for Cupcake Camp, a benefit for Relay for Life. 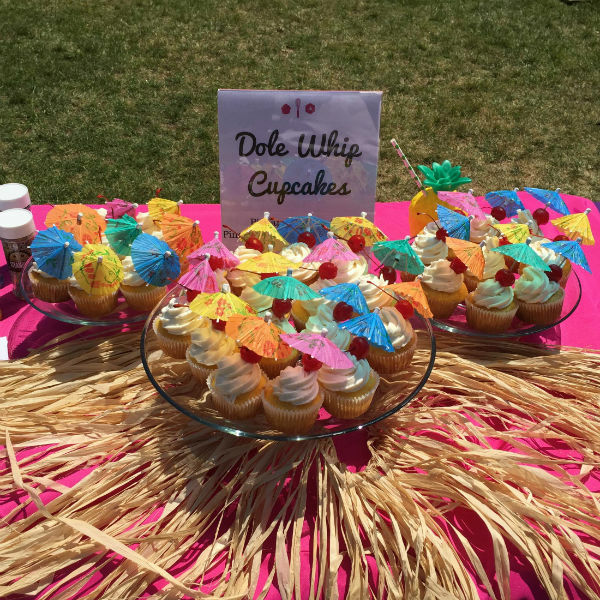 The event brought a variety of amateur and professional bakers together to create Disney-themed cupcakes. When I first heard the theme, Dole Whip was the thing that instantly came to mind. I knew we would be outside on a hot day, and the idea of a refreshing pineapple cupcake sounded fantastic. What I didn’t know was how perfect it would be. 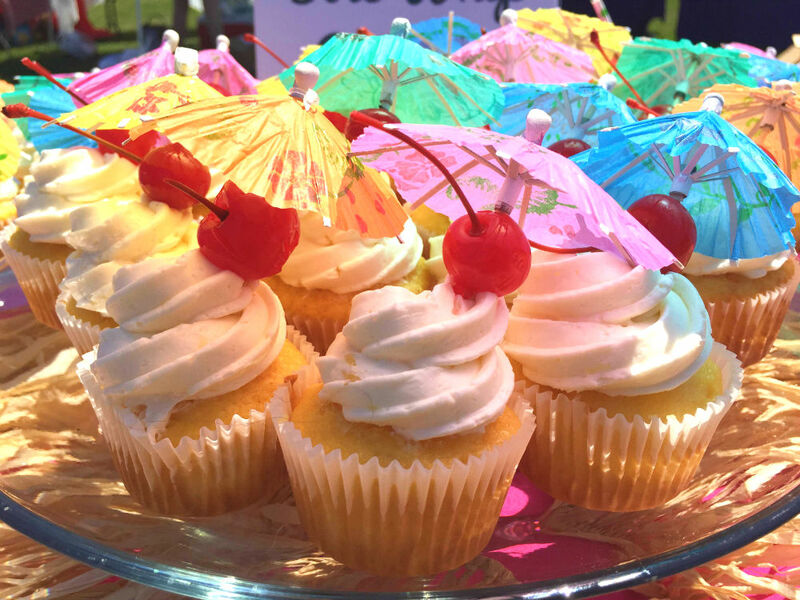 We had our cupcakes displayed in direct sunlight, and the cute little cocktail umbrellas actually kept my cupcakes looking good while everyone else’s melted around them. Form AND function! If you’re not able to get to a Disney park or Hawaii for the real thing, make these cupcakes for a nice and light pineapple treat. I originally tried a from-scratch version, and it just didn’t turn out as well as this doctored cake mix version. So what do ya know, these are pretty simple to make as well! Prepare the yellow cake mix as is directed on the back of the box, but instead of water, use 10 oz. crushed pineapple and juice. Fill cupcake tins about 2/3 of the way with the batter, and bake as directed on the back of the box. Remove cupcakes from the oven once a toothpick inserted in the center of a cupcake comes out clean. Transfer cupcakes to wire racks. While the cupcakes are cooling, make the frosting. Mix the butter in a mixer until fully smooth, then slowly add the powdered sugar in, one cup at a time, until it is all mixed. Add 2 TBS of crushed pineapple and juice, and the vanilla and salt. Mix for about 5 minutes or until the frosting has a beautiful, whipped consistency. Are you a fan of Dole Whip? What other Disney treats would make good cupcakes? They look great, love the umbrellas on top.